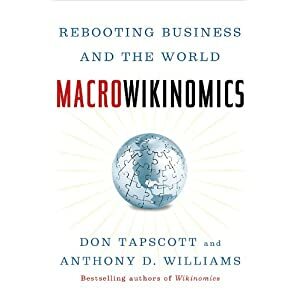 Would you support a 21st Century Canadian Task Force on Learning led by Don Tapscott? Welcome to our 3rd Anniversary March Issue of the MindShare Learning Report. Just three years ago, twitter was at its infancy and the notion of 21st Century learning skills was beginning to gain traction across the Canadian education space. We're proud to have played a small part in leading, nurturing and sharing the knowledge and best education practices across our vast Canadian landscape. It's inspired by the excellent work and dedication of education and industry leaders to transform learning in the 21st Century across Canada. Our ability to enable students to excel on the global stage is largely dependent on ten provinces and three territories collectively offering relevant curriculum in a meaningful and engaging way to Canadian students. 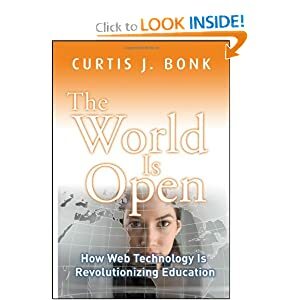 It's less about the technology, as much as it's about collaboration amongst the human networks and utilizing technology to enhance learning, thereby eliminating geographical barriers. We, as a country, although so culturally and geographically diverse share a common vision that drives us as Canadians to succeed academically--Our OECD PISA results are a testament to our high performing students. MindShare Learning is continuing its work in partnership with education and industry leaders to shape a vision for the 21st Century to reach all Canadians who desire to be part of the future of learning today. Congratulations Canada's Outstanding Principal Award Winners! Special thanks to our team, founding sponsors and advisory board who believed in our vision and mission to transform learning by "mindsharing" the excellent pockets of innovation across the Canadian landscape. Thank you to our readership and partners who inspire us to bring you the best possible news and information on a monthly basis. We value your loyalty and ongoing sharing and innovative spirit. It makes the long hours and hard work behind the scenes that much more enjoyable. "Education is evolutionary vs. revolutionary"
"We believe that financial education will better prepare our students for the 21st century global economy. Our kids need to know their dollars and cents just as much as their ABCs." Board Member, comment on MindShare Learning celebrating its 3rd Anniversary. The Telus Convention Centre hosted Calgary's teachers on Friday and many are concerned over provincial funding and how it affects the classroom. One of the busiest places at the convention is the space set aside where teachers buy classroom supplies. Ontario is taking the next step in its plan to integrate financial literacy into the curriculum this September. In front, Park Street Elementary School students Jenna Im, left, and Scott Perry show the school's Senteo automated response systems. Behind them are, from left, teachers Jon Crossland, Carrie Beaumaster and Katrina Mcdonnell. Park Street Elementary School is leading the pack when it comes to technology. The Fredericton school was recently named the winner of the MindShare Learning Report's digital classroom contest for Eastern Canada. 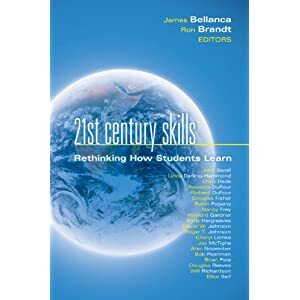 This paper addresses six areas of focus in an effort to discuss 21st century learning. funding from Ontario's Ministry of Economic Development and Trade14. Ontario as part of the company's investment of more than $28 million. Schools across Newfoundland and Labrador will be receiving 1,450 new computer systems and 272 interactive white boards, as a result of a $2 million Provincial Government investment. This month's Conference Corner is packed with highlights of National and International coverage from our MSL Report team that includes: BETT UK, FETC in FL, ABEL Summit and the OTF Teaching & Learning in the 21st Century Conference, to name a few. Most recently, MindShare Learning was pleased to sponsor the ABEL Summit at York University featured an inspiring video welcome from Canadian astronaut Dr. Robert Thirsk (see below). Dr. Heidi Hayes Jacobs keynote via Skype was superbly done. If you missed the ABEL Summit, checkout the twitter hash tag #abelsummit. Congratulations to Janet Murphy and her team for hosting an excellent conference and to ABEL's 10th anniversary of transforming learning through technology. Catch other conference podcast highlights below, including our inaugural P21 Canada meeting to explore the creation of a national organization to support the 21st Century skills movement in Canada. While many Canadian college and university campuses are beautiful because of their well-crafted historic buildings, perhaps new construction can start a new tradition of environmentally sustainable, green construction; with the Leadership in Energy and Environmental Design (LEED) Gold designation of its Claudette MacKay-Lassonde Pavilion, the University of Western Ontario firmly asserts its place within this trend. A Nanaimo high school club's efforts to go green were worth $50,000. nearly 300 other schools across Canada. well-deserved. The students will come together with teachers to decide how the funds are spent on new computers to replace aging work stations. "New computers will save a lot of energy," club co-leader Emma Hsueh said. We hear educators, professors, self-proclaimed critics, trustees and anyone with voice in this arena of song singing the chorus that unless we engage students in education we're going to be preaching to deaf ears. And to engage them we need to create learning contexts th at are meaningful, real-world, and 21st century, among other things. To be honest, I always thought that this was sort of a truism. Who wouldn't want to be engaged regardless of the context you find yourself? I clearly remember my high school learning experience and it was less than stellar when it came to student engagement. The difference was I suppose that in that time you didn't have a choice: listen and learn whether you like it or not! Today's student is a bit more empowered, and parents have taken on a more active role when addressing the needs of their children in today's public education system. Technology businesses see the opportunity to inform the educational field that technology will make a difference because, to coin Tapscott's phrase, the Digital natives are immersed in technology and so in order to meet the student where he or she is at we must also integrate technology across the curriculum. 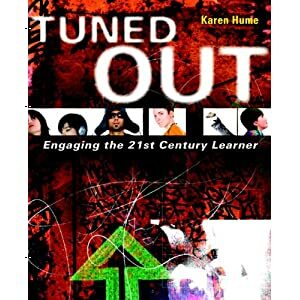 Tuned Out - Engaging the 21st Century Learner is a book written by Karen Hume that comes hot off the press from Pearson Canada. In this work Hume seeks to clarify what engagement is and is not, both for students and teachers and then proposes a multi-layered approach for initiating, developing and fostering a learning environment that is engaging for both students and teachers. Let's not forget that teachers can be disengaged as well! Our beliefs and our prior understanding about engagement should be challenged, honed and re-aligned, including my own and Hume's work is just the right medicine! Hume's paradigm for engagement is thoughtful, well-articulated and meaningful. Moreover, Pearson provides a related website that includes the full e-text of the book, as well as opportunities to engage in thoughtful discussion as well as links to further resources. Read on to find out more about Hume's plan for engaging the 21st century learner! With a budget in excess of 25 million the Division staff of 300 serves approximately 2100 students in 15 schools. Framed by Riding Mountain National Park, Assessippi Provincial Park and the Saskatchewan border, the Division is home to many outdoor recreational facilities easily accessed by both the TransCanada and Yellowhead Highways. Your role as a part-time instructor at SIAST will be supported through instructional materials and on-going employer provided training. This may include a requisite faculty certificate program depending on your employment status in future positions. This initiative will develop our instructors professionally while ensuring a high quality learning experience for all SIAST students. This is a temporary full-time position for the remainder of the 2010/11 school year. Relocation may be provided. Whether dishing last night's details to friends, uncovering local lore, perusing restaurant reviews, listening to travel guides, tuning in to citizen journalism, contemplating oral histories, or sharing hilarious anecdotes, Broadcastr amplifies all our voices. Users can take a GPS-enabled walk as stories about their surroundings stream into their headphones, like a museum tour of the entire world. Users can record their own content, create playlists, follow their friends, and share on Facebook. Vizalizer hasn't been launched yet however if you're interested in searching the web visually, then sign up for their launch invitation! Looks inviting! Receivd allows you to share files easily, securely and in real-time with family and friends. Drag and drop files in to share with lists of people at once, or just to one person. You can also send high-resolution photos and videos without any hassle. Collect data using smartphones and tablets. The easiest way to create forms and surveys for the iPhone, iPad, and Android. To get to world-class, it is absolutely essential to become a spectacularly good innovator. Pushing the envelope and relentlessly making things better and passionately discovering new ways to add value, work smarter and move faster are core creative traits that the best in business live by. And to be alarmingly creative, you don't need to go walk in the woods or find some sanctuary. Some of the best ideas come from innovating and thinking outside of the box at the very place you now stand. across Canada announced on January 20. A Canadian-built device aimed at testing the Martian landscape for signs of "habitable"
space institute for launch later this year. of the developed world on a per capita basis. enough bang for the buck. "I see no evidence that Canada can claim a gold medal in the results we get from this research,"
See, hear, discuss and practise with the Internet: A students guide. auditory - for my suggestions to help each and every student find the tools they need to succeed. If Adrian Hartog has his way, college kids will be sporting tablet computers instead of backpacks loaded down with heavy textbooks. The chief executive of educational tablet maker mySpark Technologies ( mysparktech.com)is among a growing number of entrepreneurs attempting to change the way students study, share and do homework. "Everybody is learning how to use the digital form," said Mr. Hartog, a former executive with graphic chipmakers AMD and ATI. "We're really trying to provide a comprehensive solution for students." released at the same time as the Ministers announcement about the appointment of a specialadviser regarding the Ontario Online Institute. "Online learning in K-12 schools is growing explosively." It's somewhat perplexing to think that we're one tenth into the 21st Century, however, we speak about it like it's a long way off into the future. It reminds me of Dr. Gerry McIntyre's comment last week, "education is evolutionary vs. revolutionary." Can I vent for a moment. I'm tired of going to tech conferences where I see notes being taken using old technology-pen and paper. The thought leaders who are charged with transforming education are not "modeling" effective uses of ICT. It's about "walking the digital talk." I considering making our upcoming fall Summit a paperless one. I welcome your thoughts? On The twitter beat, Dr. Margaret Riel, renowned expert on learning circles and my former thesis advisor at Pepperdine University shared The Age of the Networked Community via twitter http://bit.ly/hPNvoX . Speaking of Pepperdine University, my Alma Mater humbled me while at the FETC conference in Orlando recently by presenting me with the Alumni Service Award as outgoing president of the Master's in Learning Technology Virtual Alumni Chapter. Thanks again for the thoughtful recognition. Great to catch-up with Ron Canuel, CEO, CEA recently, who shared a breakthrough study by the University of Montreal on his former district in the Eastern Townships School Board in Quebec that revealed significant findings on the impact of computers in the classroom. Dr. Doug Player checked in recently to share that he's continuing his work on establishing Whistler U. I look forward to connecting with Doug next month when we head off to the ERDI conference in Vancouver. As you know I'm a BIG fan of twitter with the caveat of tweeting wisely! The following is a great tool for analyzing your twitter traffic. Buy five Epson PowerLite� 83+ projectors, get 1 free! Purchase 5 Epson PowerLite 83+ projectors between February 1, 2011 and March 31, 2011 and your FREE additional model will be shipped to you after purchase with submission of a mail-in rebate. With mobile technology being the rage, here's an Interesting Infographic - Cell Phone Usage courtesy of Angels Maiers. Please keep the news coming! We always enjoy hearing what you're up to. Until next time, be sure to walk the digital talk!